Thank you for coming to my "Party" today! If you haven't already, please feel free to join my Fan page where you can get updates on my blog ahead of time & other Good stuff! To join my fan page, all you have to do is click on the cricut cartridge on the top of my blog that says "Facebook"! It's that simple! ;) I will see you back here tomorrow! Have a GREAT day my friends! I got my critter stamps the other day and tried making the cow but it just didn't look right to me. Have you done the cow with the stamps yet? OH MY! WOW! this is adorable!! Happy Birthday day 3 Emma. This purse/card set is so cute and the little faces on them are the fantastic! Thanks for sharing with us and Im looking forward to tomorrows party! Aloha Emma, this is just too cute. I need to make this when I get this cart. The purse is adorable!! Thank you for sharing with us. That looks so sweat! what a great idea to give someone for a birthday or something! Oh so cute! Love to win Robyn's stamps. I'm so glad I purchased this cartridge. I love it and now all the items I can buy to go with it. Thanks for giving us the 'know how'. Great bag. Very cute Emma, i have just ordered the Forever young cart.Cant wait for it to get here. I really love how the My Pink Stamper stamps work so well with Cricut Cartridge. Just love it, and would love to win! Thank You for the chance Emma. So super cute! I love it. I see a scraplift in my future! Happy Birthday week. I hope you are enjoying your week as much as I am. The cards and holder were adorable. This is so adorable. I love the cards with the new critter faces. What a cute project! Want those stamps!! Thank you Emma, always so creative! Too, too cute. You are amazing, my friend. Super cute! Just click my name on here to get ahold of me if I get lucky. ADORABLE!!!!!!!!!!!! This project is so super cute! Thanks for showing how to use the Peachy Keen faces. I have got to have those!! I thought the Create a Critter was great the way it came but those stamps are awesome and add such character!! Happy Birthday day 3! 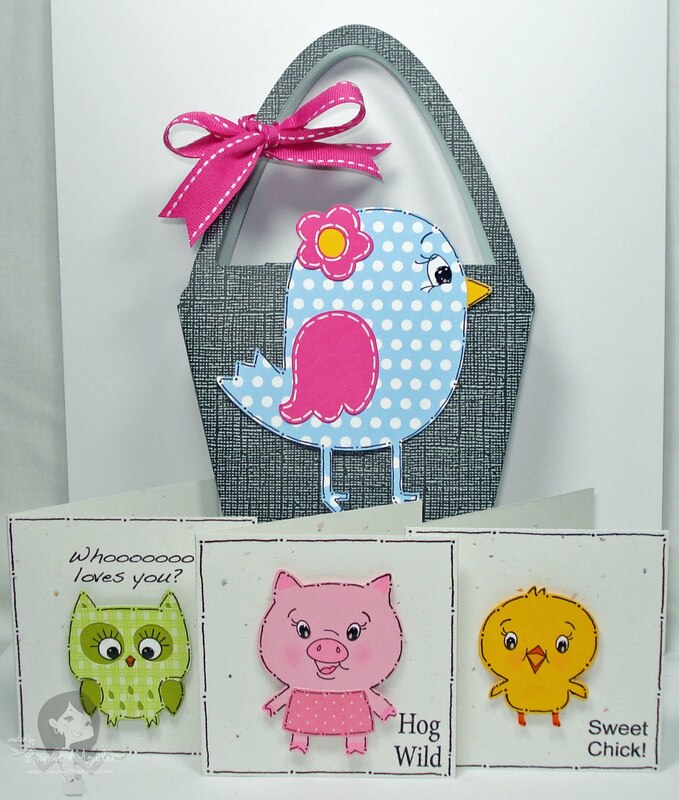 This purse and card set is just too cute! I love this stamp set and would love to win it. Super cute Emma! Love watching your videos! cute!I don't have that cartridge..Guess i need to get it.. I love the way these came out! I really want both stamps sets! I hope I win! That is adorable. 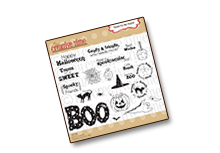 I can't wait to play with my new Peachy Keen stamps tomorrow on my day off. Emma.... you are my inspiration! You are TOO creative !!! Love the purse and paper ! So Cute!!! Im so glad its your birthday. Such great ideas. I just got CAC in the mail yesterday :) I'll have to order those PK stamps next. I'm still waiting for CustomCrops to send my MPS stamp sets as well. I love the purse and cards! Oh Emma, your purse and card set is soooo cute!! I love it! Such a cute idea!! Love the purse to hold the cards. That is an adorable purse. Cute idea. So darn cute! 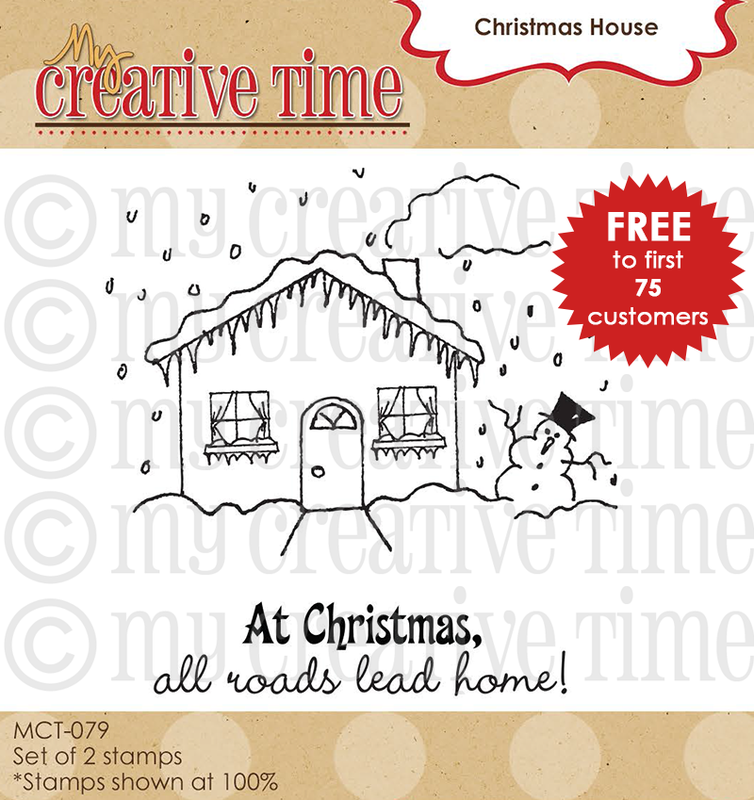 I would love to win Robyns stamp set!!!!! very cute!!!!! I love everything that you do. LOVE it!! I love your work! I SO need to get me both of the stamp sets. I have the CAC cart and love it! Thanks for sharing! Oh Emma I love this. I think this would be perfect for a little favor for my 14 year old daughters birthday! 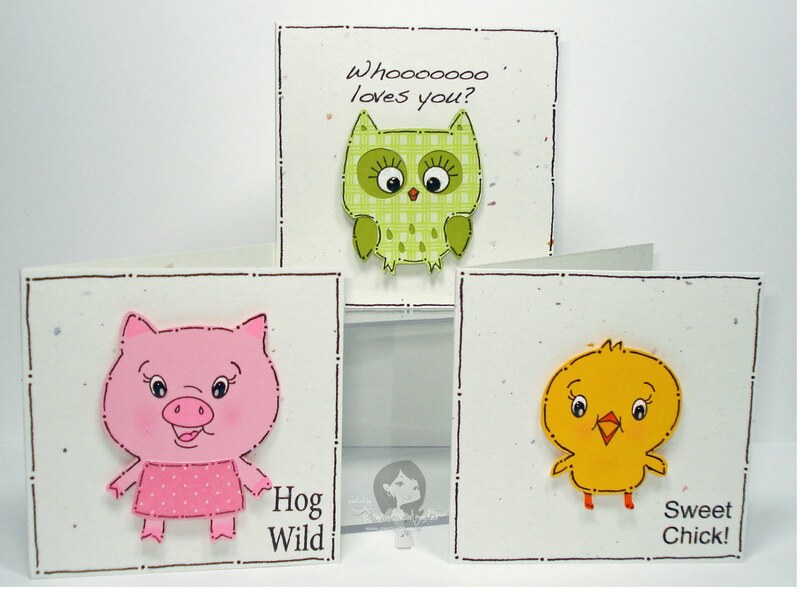 These cards are so cute, especially the pig! I can't wait to get my hands on this stamp set. Thanks for the post! These are too cute. I really need to get these stamps! Thanks. Oh my what a super cute and wonderful project. Wishing you a continued great week. SOOOOOO CUTE! I love the little faces and the stamps of course! Thanks for sharing! Thanks for the inspiration! Love your ideas. These are so cute - love that purse too! I really like how your stamped faces turned out - Thanks for sharing! Great cards and cute purse. So cute Emma!! Thanks for the chance to win. Oh your card is super super adorable. Thank you for a chance to win. Love those little sayings. Those stamps are a cute must-have!! Emma...girl - you really have outdone yourself. WOW! This project rocks! no entry - just wanted to leave you a comment. I have these adorable stamps already. Emma! you have some of the best creations. I love all your work. Thank you for sharing your creativity with us. Super Cute! Absolutely Adorable!! Happy Day 3!! I can' t seem to get my comments to post, hopefully they won't show up later in triplicate. I loved the critters sooooo cute. Love the stamping. Such cute stamps! would so love to win....thanks for the chance..
Super Cute project! I would LOVE to win these stamps! So Cute! I love the Owl! And I really want the new the MPS stamps! Thanx Emma for another great giveaway! And HAPPY BIRTHDAY!!!! Happy Birthday Day #3!!! Thanks for keeping the party going! I would love to win these new stamps; they are definitely on my "need" list. Thanks! super cute like always! I can not wait to get the critter cart. This is the cutest !!!! I wonder where can I get those different size envelopes?!?! Must have to get the CCritter stamps!!! Too cute! I hope I win Robyn's stamps because there are "issues" shipping to PR with the 2 companies that carry them. :) Hugs, Martha C.
Wow Emma.... You just amaze me with your talent.. I am hooked on your videos!! Thanks for the chance to win great prizes!! These would go great w/ my create a critter cart! thanks for the chance to win! your 3x3 cards so sooooo cute! Oh My this is such an awesome stamp set Robyn has come up with! After everything you have done with the create a critter cart I have to go by it so it can match my new stamp set that I am going to win lol:) Happy Birthday!! Emma how adorable. I want all the peechy keen stamps and the new pink stamper stamps. I guess I will just have to win the lottery). How adorable is this set????? Cute cute cute!!!!! Who wouldn't love to have this?? You do amazing work. I am happy to be on a DT with you! That card set is adorable! And the stamp set is perfect for them! What a great prize! Have an awesome birthday! Happy birthday week!! Super cute video! So adorable! 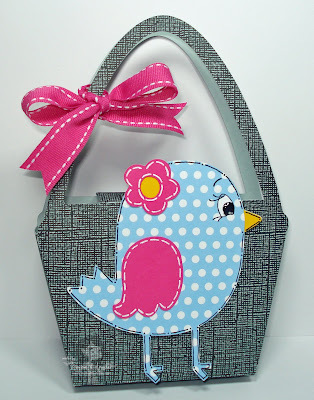 I love the idea of making the purse to use as a gift to put the other cards in! And though I'm sure you've heard this enough... Happy Happy Birthday Week! We do that here, everyone gets a week to their birthday, and I LOVE IT! Thanks for the chance to win! I love your videos and have gotten many good ideas from watching your videos! For example I made the most adorable wine glass and bottle. I know there's one on the Summer in Paris cart, but I haven't gotten it in yet so had to improvise. I probably wouldn't have had the guts to put it all together on my gypsy had I not been watching your tutorials! Thanks again! Can't wait for tomorrows video! Love the card, I also need to get it. Thanks for the new giveaway. Love your creations Emma! So cute! That is such a cute project - you make those face stamps look so cute! Hope you're having a great birthday week! These are so cute! I'm definitely going to have to order the Create a Critter cartridge. love the purse. you are so creative.thanks for the chance to win. Oh, I just love this card set! I have the Critter faces stamp set and was unsure how to prevent the face from cutting on my Cricut. After I watched your video, I used my Design Studio to remove the faces. It looked mych easier to do on the Gypsy so I ordered one and it will be delivered today!!! you have done it again. This is the cutest little purse/card holder. Very cute cards. Both stamp sets really add alot of character to the cards. I love this purse and the cards are super cute!!! What a really cute idea. I am looking forward to getting these stamp sets. Great job on the birthday week. These do bring a tear to my eye to! They are so cute I love them. I love your blog. Thank you for all the sharing that you do. Cute, cute, cute. im loving all these awesome giveaways! thanks so much! I love how you're celebrating your birthday all week long! I love, love, love all the projects you've made! OMGosh...this is the most cutest set! I would love to own this since I was just wishing moments ago that I had more "words"!! 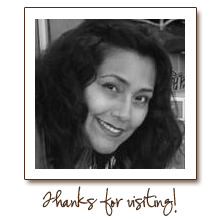 I just found you and love your blog and thanks for the offer! !--Just Sweet!! I will following for sure!! WOW Emma, yet another winner! This is seriously too cute! Love your purse and cards!!! Too cute! Too cute!! !Very creative, love your ideas. 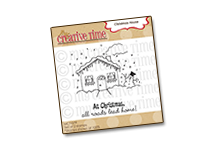 wohoo, I so want these stamps, I love your little set, such cute ideas! The set is adorable! Can't wait to get MPS stamp sets! Just need the $ first! :) They are adorable though. 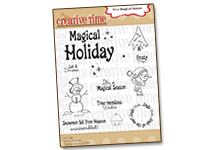 Can't wait to use my Critter Stamp Set! Thanks for sharing the owl, pig, & chick! I need to save $$$ to get my stamps and the "for ever young" cartridge. I want to make this project! I am so excited about this project. Thanks for sharing how to use the faces. I got them and I am still practicing. Yeah for your birthday celebration week! What a great little gift idea! So cute!! Loves this project, it's soooooo cute!! You are making me want to go buy both stamps sets. haha. Very cute. OMG - you are such a good enabler! This is the cutest video ever! I hope I win. 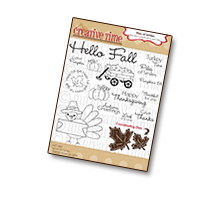 Create a Critter cartridge is my favorite and I have not bought the stamp sets for it yet!! CUTE!!! Now, I want the Forever Young Catridge and both stamp sets. Love this little purse and the cards you created. I love the card set! Very cute! Cute! 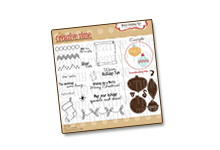 I love the idea of using peachy keen's stamps for a different create a critter look! Love it and your blog layout! I really like the little cards. The purse was cute too. Will have to check into the stamps. Your cards are absolutely adorable... I have this cartridge and have yet to use it. So glad to see what I can create with it... thank you!! Love the purse and the cards. his cartridge is certaintly a winner. Very cute Emma! Love the purse! Happy Birtday 3! I love the cards and the purse is just a perfect compliment. Adorable project, Emma! Just too cute. Happy day 3 of your birthday celebration! What a cute little gift idea. I just love those critter faces. Happy Birthday on day #3. This honestly could not be any cuter! And I finally have this cart, so I need to get busy! Your videos are the first i check out every single day..they are awesome...great ideas. can't wait to see what you have in store tomorrow. omg! 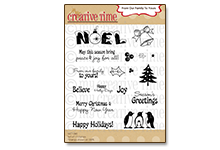 those stamps sets give the little critters something a little extra! suuppppeeerrrr cute! 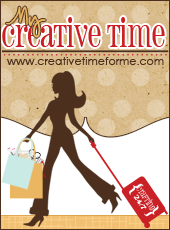 love your project once again...this week feels like its christmas everyday with your projects! Emma as alwasy - you inspire me!!! 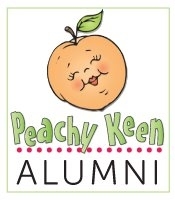 I am going to have to get these Peachy Keen stamps as I LOVE this cartridge! TFS!! Thanks for the chance to win, love those new stamps! I love these, they're toooo cute!! I'm really lovin' the critter faces and have had my eye on the punny-licious stamps since they came out. Thanks for the chance to win them!!! I can't pick a favorite today! They're all so darn stinkin' cute! such a cute little card set! love love love the little cards!! Thanks for the chance to win the Punny-licious stamps. I just got Create A Critter for Mother's Day and these would be perfect. Oh I would love to win. My family just got me the Creat a Critter cart for mothers day the stamps would go great. I love those cards! The critter faces and punny-licious sayings are so adorable! I would love to win, thanx for the chance Emma. How cute is that??? I am loving this project. That is a nifty gift to give as party favors. I am also loving how you are celebrating your birthday for a full week. That's the way to do it!! Thanks for sharing. such cute-ness!!! LOVE the stamps! Thank you so much for the chance to win Emma! So cute! I just love these critters and the purse card holder is perfect! 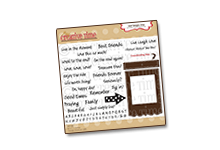 What a cute a cheery project! I love that little snout on the PK stamps. Too Cute! I cannot wait to get that cart. & those stamps!! love this idea. I see me making something like this for my nieces teachers. This project is just adorable!!! Another great giveaway. The little cards are so cute. What a cute idea. I am having a blast celebrating with you Emma. Thanks for all youdo for us. I love this little purse, so so cute!! !I love you added the ribbon. 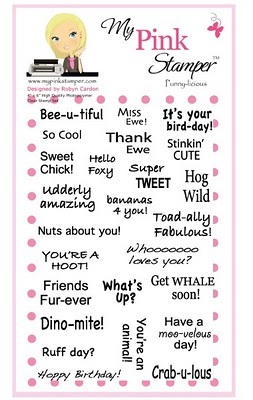 I love the little critters and Robyns stamps are adorable! I hope you are having a wonderful birthday week! Thank you for all of these fun give aways and adorable videos! I love the purse & card set! The critter stamps are so cute. What great timing. I need to make some cards for a friend, and I have been driving myself nuts trying to find the perfect design. This shows how good simple can be, and it will save me hours. Thanks for sharing. What a great idea! those PK stamps really give the animals you made such a spunky attitude. I really like that both PK stamps and MPS stamps work so well with that cricut cartridge. I would love to win this stamp set. I love the critter cartridge and these are absolutely perfect. adorable cards! Thanks for sharing. 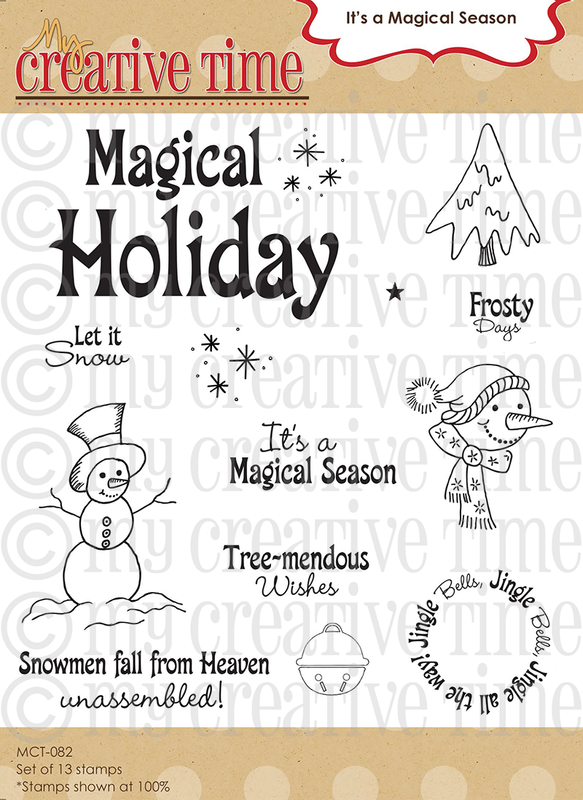 I want this stamp set soooo bad - thanks for the chance to win it. 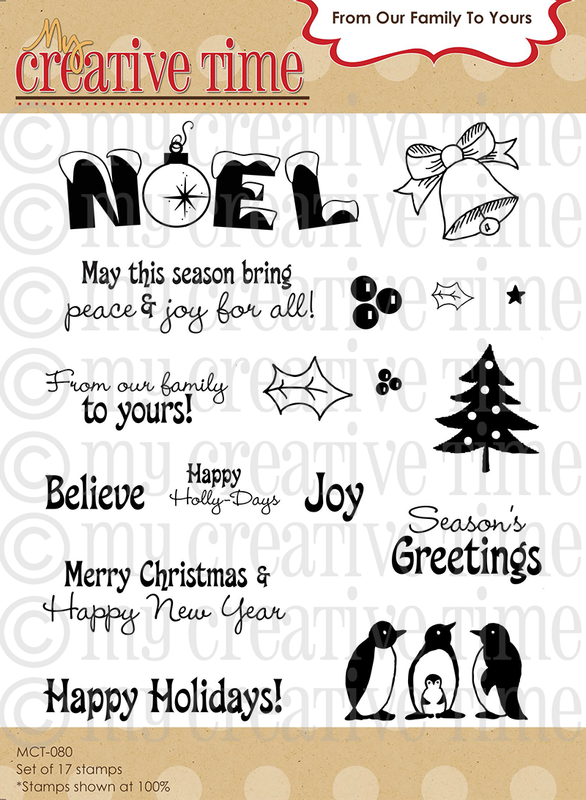 loooveee it its gorgeous thank you for sharing..
Hi Emma, I'm a new scrapper and I'm lovin your videos. You do some great things I especially love the chicky. Thank you for sharing happy birthday week. The cards and faces are really cute...you did a great job. I love the purse with cards. Great idea. I love the MPS stamps too. Thanks Emma! Another cute idea. Where do you get them all???? I love it! OK - I'm convinced!! Even if I don't win - I MUST get those stamp sets from MPS and PK!!! LOVE your ideas! Happy Birthday, Happy Birthday, Happy Birthday! Omg I love this I have got to get this cart. I just love the stuff you make. Love your blog & videos...you are so creative!! 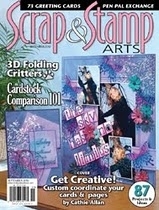 Would love to win Robyn's stamp set..just bought Create a Critter a few days ago! They are adorable! Enjoy your week long b-day celebration. OK, now I need a new cartridge (forever young) and two new stamp sets (PTI and MPS sets). I have got to stop watching your videos lol. These little purses and the cards would make great party favors for both my daughters parties that are coming up soon. Thanks for answering my question about the layering verses the stamping. What a great idea Emma!! I would love to be your winner!! OMG!! These are so cute! What a fun birthday week you are having for everyone. Sooooo cute Emma ! I love both sets of these stamps gonna have to check out Peachy Keen don't no if they ship to The UK . Enjoy the rest of your day ! Sooo cute!!! Love MPS stamps, I can't wait til I can get these sets! I am really loving your birthday!Just love the purse & cards, so adorable! How sweet it would be to win that great stamp set! Have a wonderful evening! Love it! That is one very cute bird!! Love the cards. I love all of your videos. Thanks for the chance to win. Happy Birthday week Emma!! Thanks for all you do!